With autumn in our midst, many gardeners are focused on their fall gardens of leafy greens and roots. However, now is a wonderful time to create a winter garden of indoor herbs or tomatoes. Adding a little living green to a home during the chilliest of months can be simple. 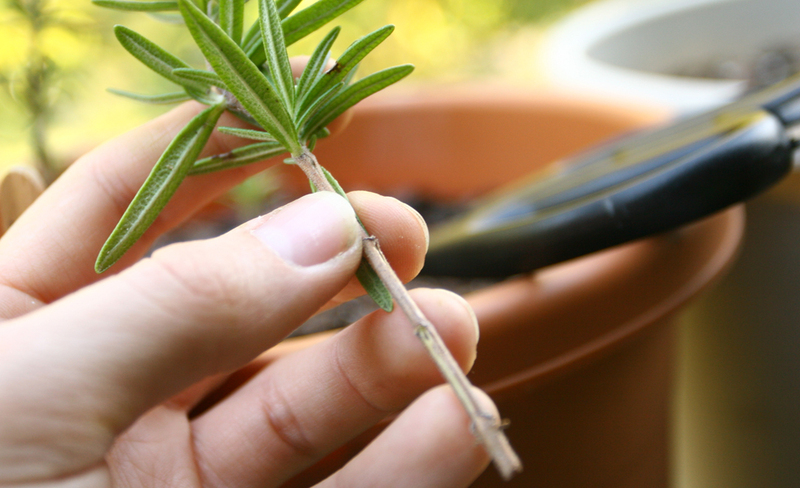 One of the best ways to get indoor herbs started is to root a cutting—this way you don’t have to play the waiting game for a seed to sprout and develop into a mature plant. 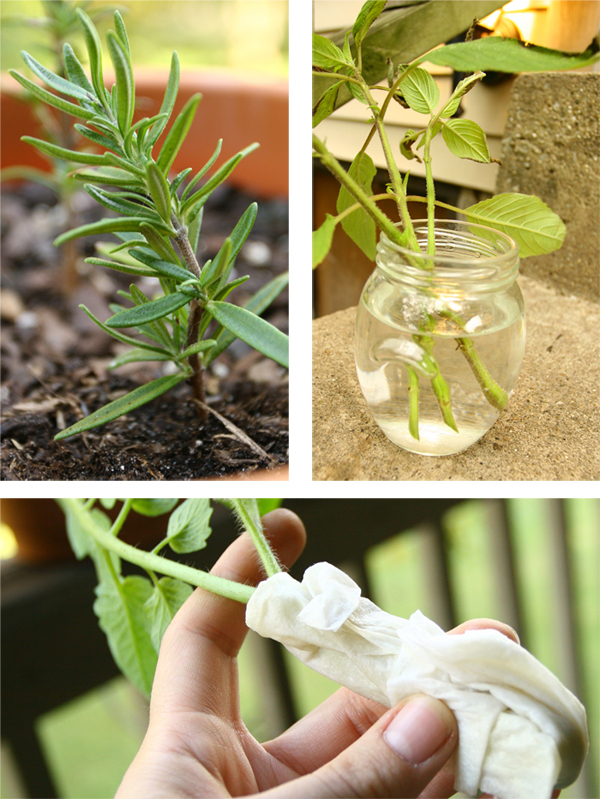 Cuttings may be rooted in water, moist soil, or even a damp paper towel wrapped in plastic. Rooting hormone will help speed the process along. 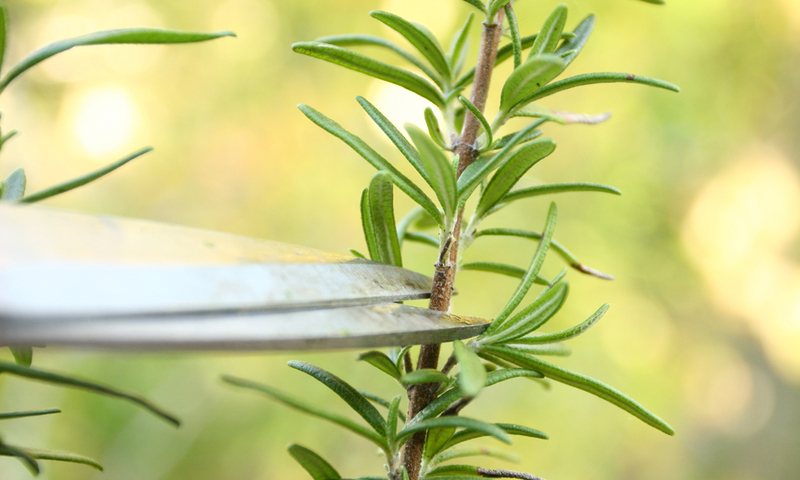 Basil, sage, thyme, rosemary, mints and tomatoes have all been known to root and not let go! When choosing a stem to cut, it is important to avoid new, immature growth. I prefer to use a woody or developed softwood side shoot. Take cuttings early morning before a warm sun has sapped their stored energy. It is also a good idea to take several cuttings per chance one doesn’t develop roots. Remove any leaves and side shoots 2”-4” from the bottom to prevent rot. Dip cutting end into rooting hormone. Soil – make sure the soil mixture is light and retains moisture. 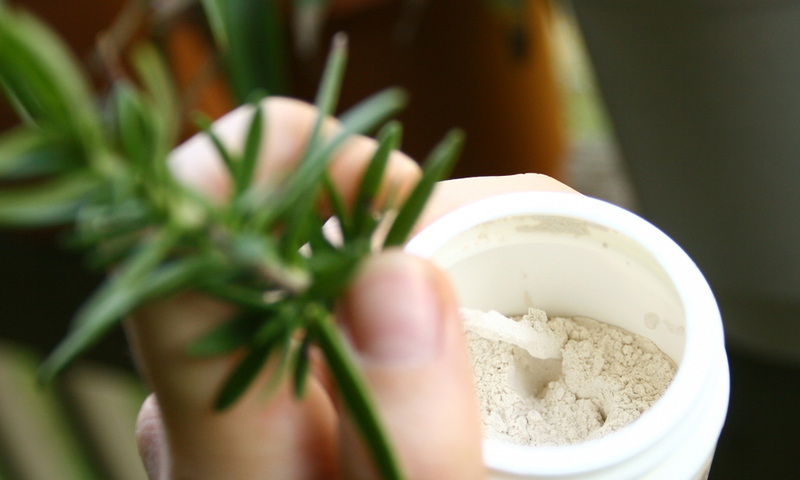 Water – root cuttings in a jar of water. Don’t forget to change the water every couple days. Paper towel – dampen a paper towel and wrap around the base of the cutting, then wrap plastic around the paper towel. Until they begin to develop roots, cuttings need to remain moist and must not be allowed to dry out. Use a plastic bottle or plastic bag (like a miniature greenhouse) to help retain moisture. Stick the cuttings in a sunny location such as an east or south facing window. Do not fertilize until roots have developed. Check weekly for root development. 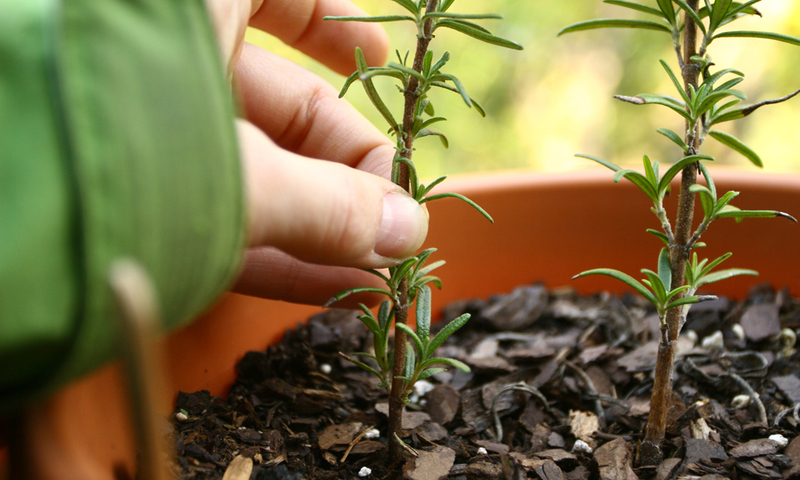 If using soil, gently tug on the cutting—any resistance means it has begun to develop roots. Generally it will take anywhere from 2-6 weeks for roots to develop. If rooting in a glass of water or a damp paper towel, wait until roots are at least 2” before replanting in soil.